The fraternity [Phi Kappa Psi] engaged in activities that clearly met specific criteria that define hazing in the Student Handbook. 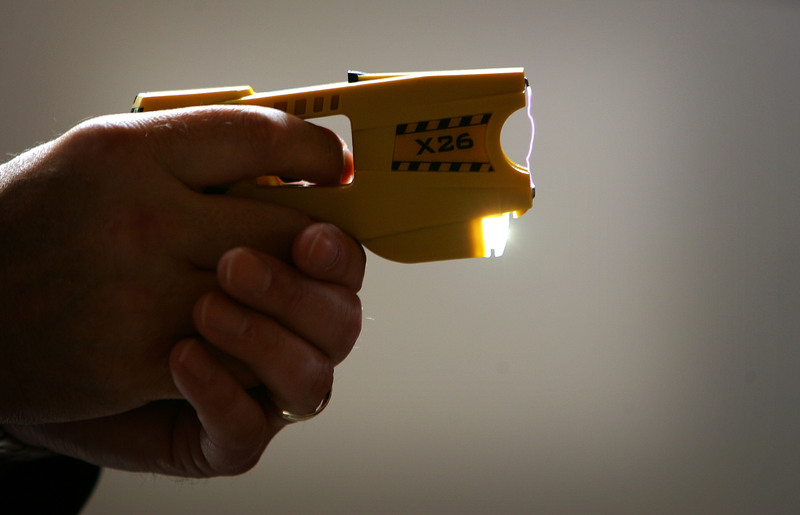 As part of a fraternity event, a member used a Taser on one new member and to intimidate other new members. Fortunately, no one was seriously injured. The decision to suspend the fraternity was made during a student-led hearing Tuesday, which included members of the Interfraternity Council (IFC). However, the student panel and university administrators seemed to have different views on punishment. The IFC members voted to suspended Phi Kappa Psi for just 18 months, stating: "We believe that the nature of the charges reflects a lack of responsible new member education oversight by chapter leadership." The students added that the incident does not — I repeat, does not — reflect "a pervasive flaw within fraternity culture." This was a case of clear physical abuse, harmful enough as it was, but under the circumstances potentially even more dangerous. It was a specific act that occurred in a climate of intimidation that existed throughout the fraternity's new member education program. I am, of course, disappointed that I must take these actions. I would hope and expect that all of our students would understand the obligations they have as members of our community. ... I am asking once again that all our students recommit to the highest values for which they purport to stand, and to be at the forefront in defining a campus culture that is based on treating every person with dignity and respect. The Washington and Lee president is the latest university head to take such a strong and direct stance on fraternity violations. It seems like Ruscio took a note from University of Oklahoma president David Boren, who has been praised for his prompt response and firm actions in the wake of the racist "SAE, Never Going To Sign With Me" video. Boren quickly investigated the video, gave SAE 24 hours to close down its house, and eventually expelled two students identified in the disturbing video. "You are disgraceful," Boren told the SAE members in a statement to the community. "Real Sooners are not racist. Real Sooners are not bigots. Real Sooners believe in equal opportunity." Boren not only took quick action in condemning the video and the students caught on tape, but has also been supportive of the student protests taking place on campus. In fact, he's encouraging the demonstrations and has been urging students to continue to mobilize.